The PAW Patrol is on a roll! Eight pups are racing off on different rescue adventures. Kids can count down as each of the favorite pups heads off and then returns to celebrate a job well done! 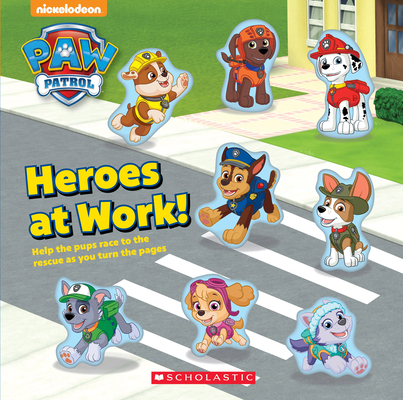 This adorable format in the style of Ten Little Ladybugs and Ten Tiny Ninja is perfect for the super-popular PAW Patrol pups. As seen on Nick Jr!